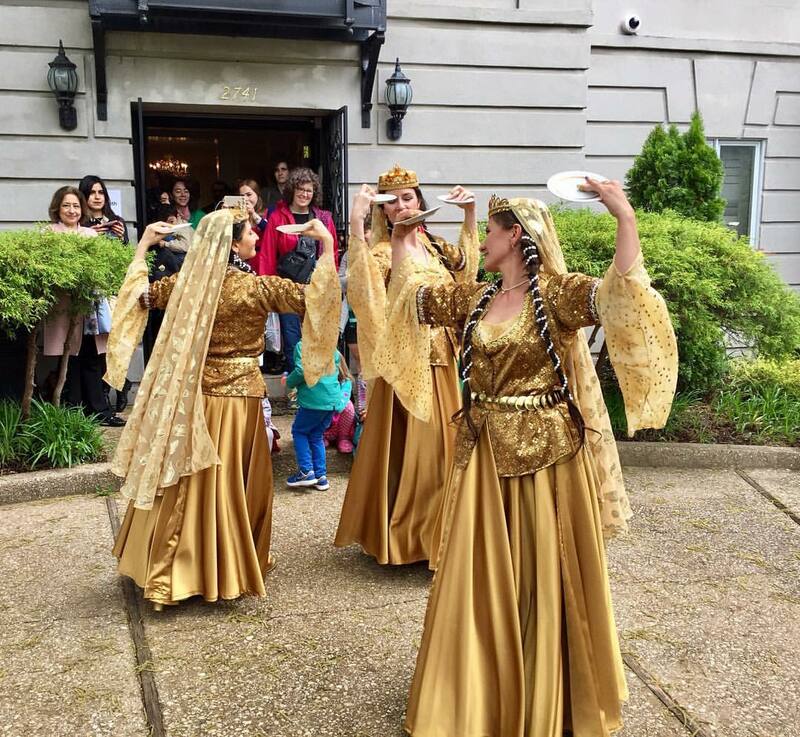 On May 6, 2017, Silk Road Dance Company performed traditional Azerbaijani dances at the Embassy of Azerbaijan as part of the annual Passport DC event. 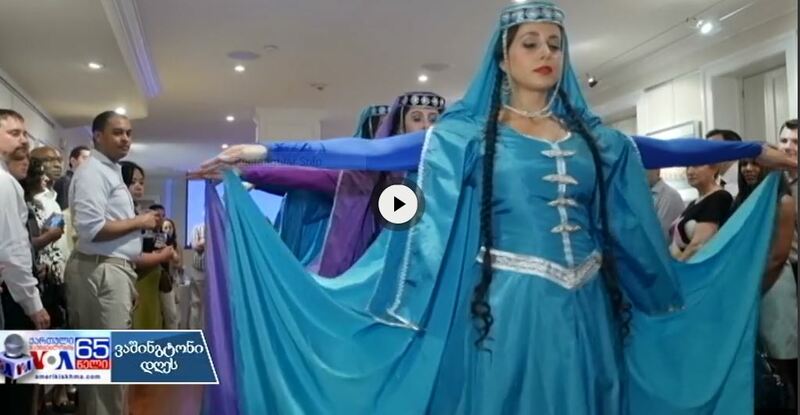 The Embassy of Tajikistan presented a special Navruz holiday concert featuring Tajik pop singer Shabnam Suraya with dance performances by Silk Road Dance Company. 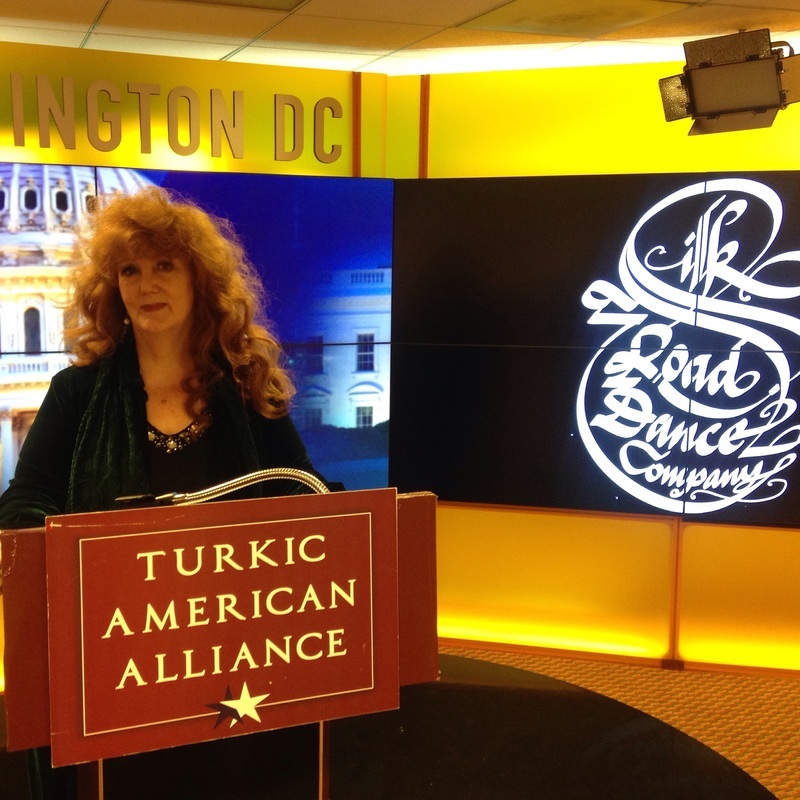 ​October 28, 2015, Washington D.C. TAA organized a reception at its headquarters to celebrate the 20th Anniversary of Silk Road Dance Company. Almost 70 people attended the colorful event, which event began with an opening speech by Dr. Faruk Taban, President of Turkic American Alliance, followed by remarks by Laurel Victoria Gray, Founder and Artistic Director of Silk Road Dance Company. Later in the evening, the audience were welcomed by hosts dressed in Crimean Tartar, Kazakhstan and traditional clothing, while the guests enjoyed ethnic food and drinks. 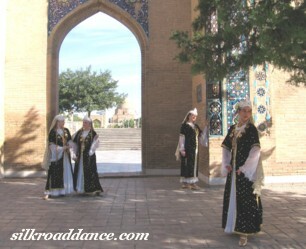 Later in the evening, the dancers performed traditional dances from Uzbekistan, Tajikistan, and Kazakhstan. The reception was organized to builds bridges of understanding between East and West by traditional dance forms, encouraging cross-cultural dialogue and provide guests a unique opportunity to meet and interact with the dancers. The Silk Road Dance Company is an award-winning organization that presents traditional and contemporary dances from Central Asia, the Middle East, South Asia, and the Caucasus. The performances offer a unique glimpse of the life and art of little known cultures, especially Silk Road Countries. On the event, organized by the Embassy of the country in the United States in conjunction with the American dance group Silk Road Dance Company («Dance Ensemble Silk Road"), attended representatives of the American socio-political, academic communities and the general public of the city. 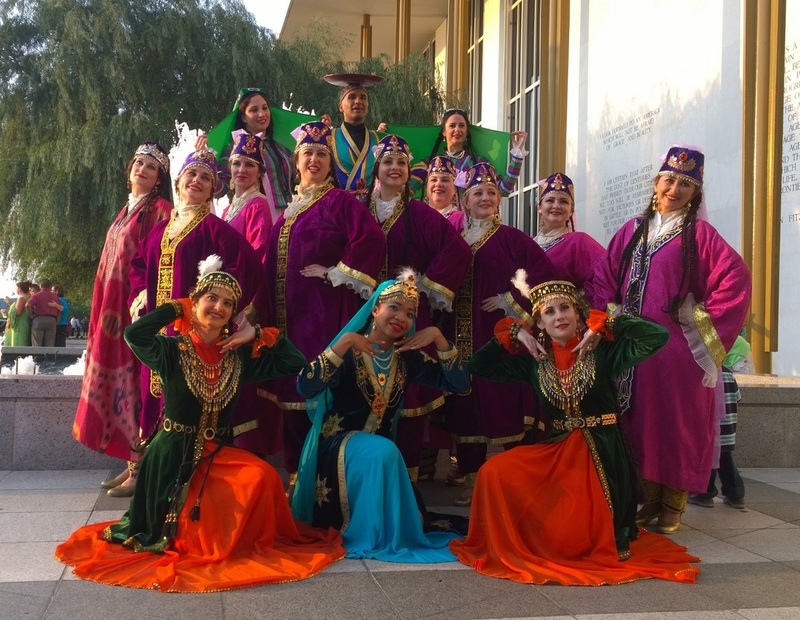 As reported by "Jahon", Silk Road Dance Company has performed more than ten traditional classical Uzbek dances, such as "Mavrigi", "Dilhirozh", "Guldasta", "Pilla", "Boi Boi", "Samarkand ushogi", "Keling Gullar" "Katta uyin" in national costumes. 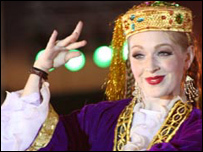 Before the demonstration of each dance, Laurel Gray who was the leading musical evening artistic director was telling semanting feature of an Uzbek folk dance to the present public in detail. The occasion was Around the World Embassy Tour-Passport DC – an annual event that introduces diversity of world cultures to Washingtonians at the start of each summer. Almost customarily, Pakistani artefacts, cuisine, costumes, folk music, artefacts and paintings remained among major attractions, with endless lines of visitors coursing through the Pakistani embassy throughout the day. 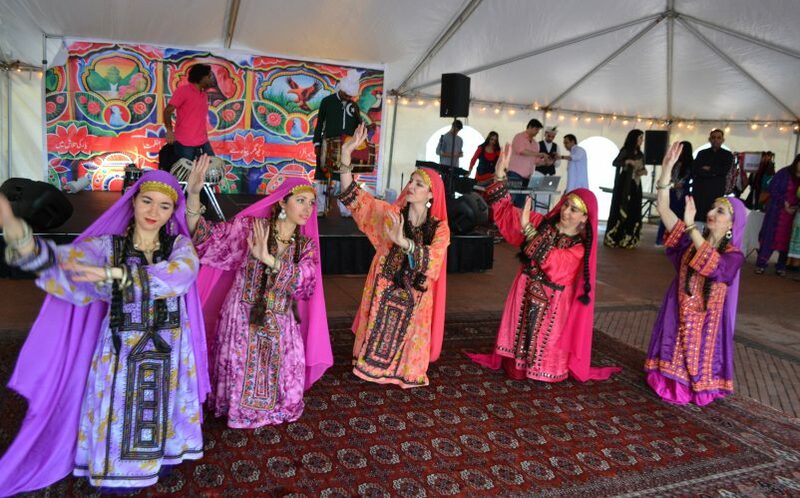 Despite intermittent rains, visitors continued to enjoy the beats of traditional Pakistani music reverberating in the International Court diplomatic area, which also houses embassies from several Middle Eastern countries. A special feature was participation of a group of American performers, who took part in the cultural performances arranged by the Embassy including regional and folk dances. Dance conveys a culture without words, and dancers in Washington share the cultures they love from around the world. Each has unique characteristics, from dances of everyday activities in Central Asia to tributes to great kings in Africa. 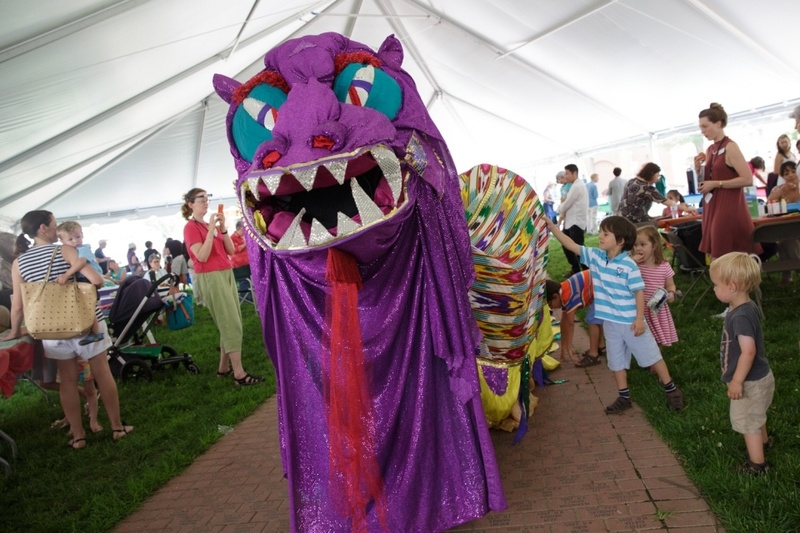 ﻿The annual event held at the new home of Washington DC's Textile Museum drew audiences. 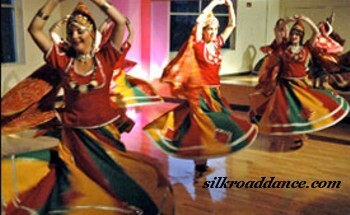 Silk Road Dance Company performed folkloric dances from different Arab countries. George Newcomb captured beautiful images from SRDC's Egyptian, Algerian, and Khaleegy choreographies. Click on this link to view photos. At World Refugee Day festival in Baltimore, a focus on celebration and feeling welcome. Images from the historic White House Nowruz celebration, hosted by First Lady Michelle Obama. 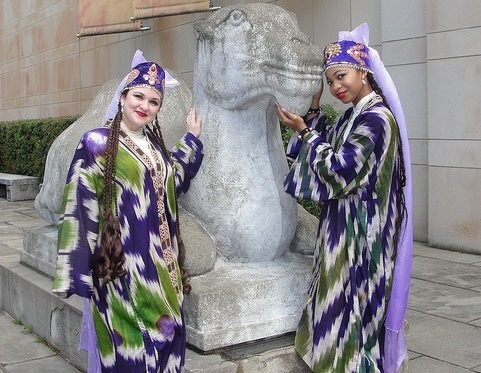 Theatre goers traveled back in time to celebrate the spirit of exploration along the Silk Road. Set in the Edwardian age, the evening at the Arts Club of Washington featured a "guest appearance" by the famous Swedish explorer Sven Hedin who shared accounts of his most exciting adventures. Woven throughout the evening were traditional dance performances by Silk Road Dance Company from the very places Hedin visited, such as Baku, Tehran, Samarkand, and Bukhara. Known as the “last of the great explorers,” Sven Hedin made five journeys to Silk Road regions – including Persia and Central Asia - between 1885 and 1908. He was a prolific writer whose exciting travel accounts captured the public imagination and increased Western awareness of many places, like the Taklamakan desert, that had earlier been just a “white spot” on the map. "Recently, the White House Office of Public Engagement was pleased to host its first Nowruz celebration at the White House. We hosted the celebration with guests that represented the many different ethnicities and faiths who celebrate Nowruz across the U.S. and across the world, including Iranians, Afghans, Tajiks, Uzbeks, Iraqis, Azeris and others. Guests included White House and government staffers, local and exchange students, lawyers, business leaders and academic and community leaders. 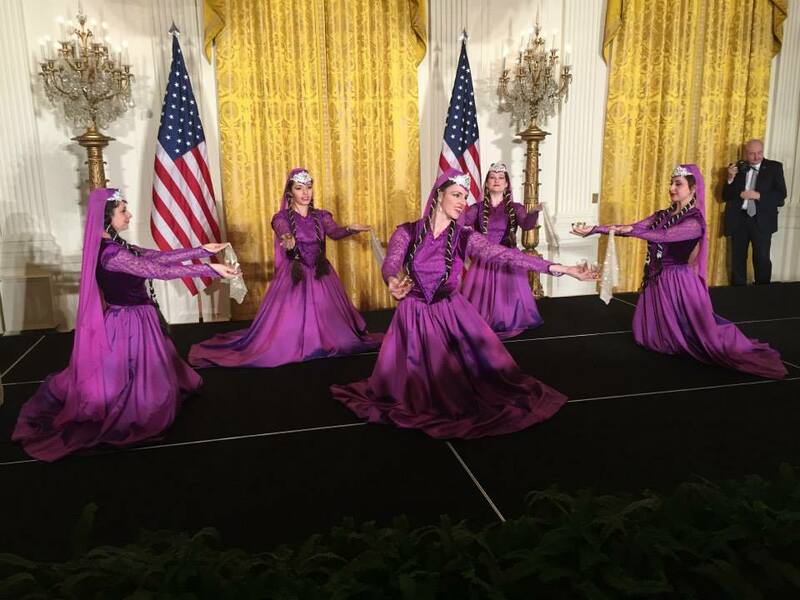 From traditional dancers to musicians and poetry, to the haft-seen table and Persian food, guests enjoyed a taste of the New Year at the White House Eisenhower Executive Office Building. Event attendees also took part in an East Wing tour and a policy briefing." ​See complete article by clicking on this link! 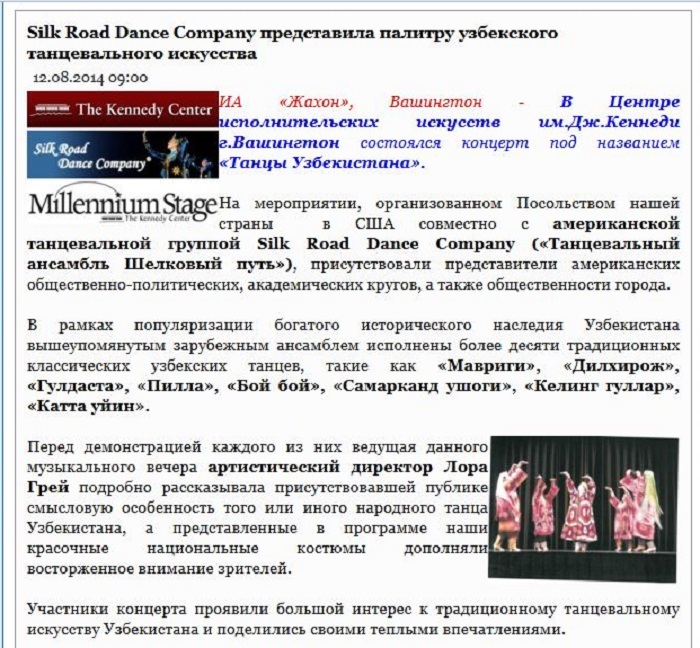 In Washington DC, on November 10, 2001, Silk Road Dance Company performed at the Kennedy Cente, right across the Potomac from the Pentagon that had been attacked just two months earlier. The concert -- Remembering the Legends -- depicted women in myth, legend and history from various cultures of the Silk Road. Our finale, Raqs-e-Pari, embodied the beauty of the fabled Persian fairies: the dance was intended as a blessing, a wish for the happiness of all who would witness it. The choreography began as a silk veil wafted in the air, trailing behind a dancer who emerged from a cloud of smoke to float across the stage. Soon another dancer joined her, then another and another, until the entire space filled with fabric and movement. At last, with graceful steps, the dancers whirled and magically ended in a pose that looked like a Persian miniature painting. We had no idea how our dances would be received, but the enthusiastic applause from the standing-room-only audience demonstrated the power of art to open hearts. In a post 9/11 world, Silk Road Dance Company's goal of promoting "Cultural Understanding through Beauty and Delight" became more vital than ever, a way to unveil the hidden grace of Iranian culture. Founded in 1995, the award-winning Silk Road Dance Company (SRDC) presents traditional and contemporary dances from Central Asia, the Middle East, the Caucasus and beyond. Our performances offer a unique glimpse of the Islamic World, especially Iran. Silk Road Dance Company has performed internationally in Uzbekistan, Qatar and Canada; nationally, we have appeared in fifteen states. 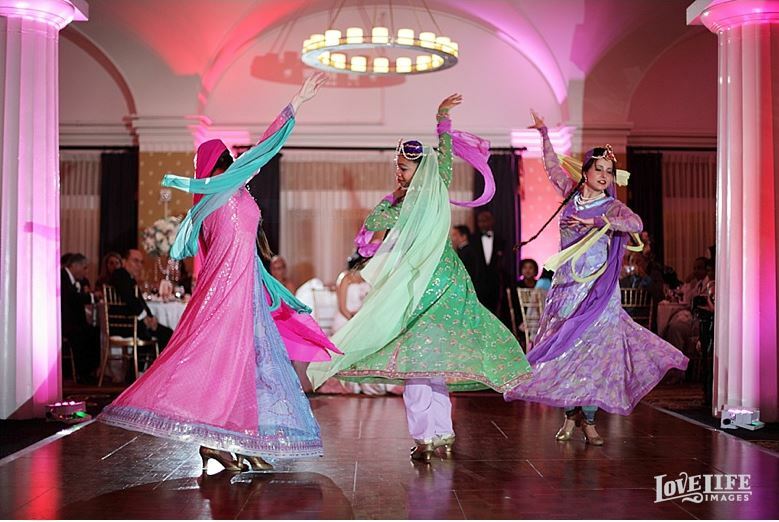 Based in the DC area, we have been fortunate to dance at prestigious venues and for esteemed guests like Empress Farah Pahlavi and HM Queen Rania of Jordan; SRDC has also been featured at events for the Embassies of Tajikistan, Uzbekistan, Kazakhstan, Turkey, Egypt and Russia. 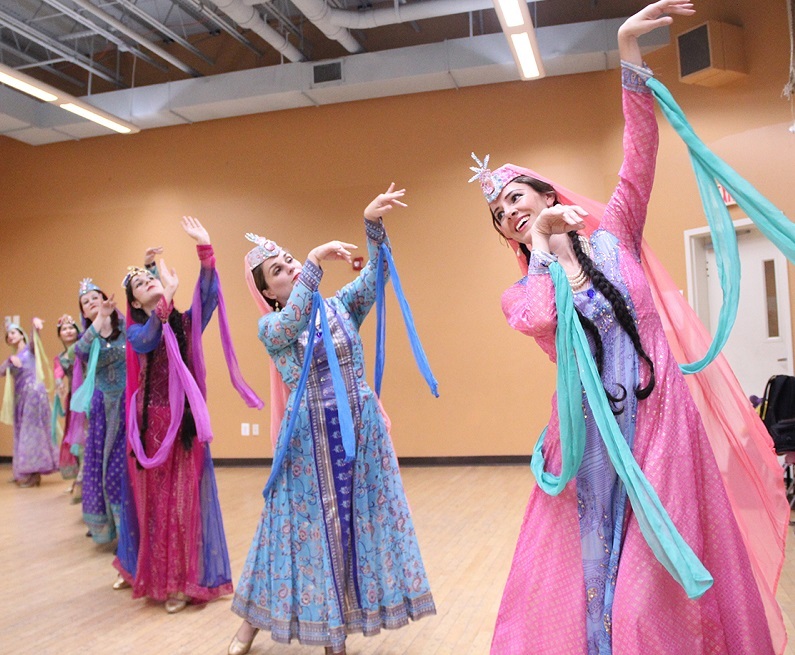 Persian and Iranian dance has always been central to our repertoire. At first, we emphasized folkloric pieces like Ghasemabadi, Kafkazi, Kordi, and Bandari, augmented with my own interpretations of Persian classical dance of the Saffavid and Qajar dynasties. Gradually we included less familiar styles -- like Tajik, Uzbek, and Afghan -- that have deep historical connections with Persian culture. 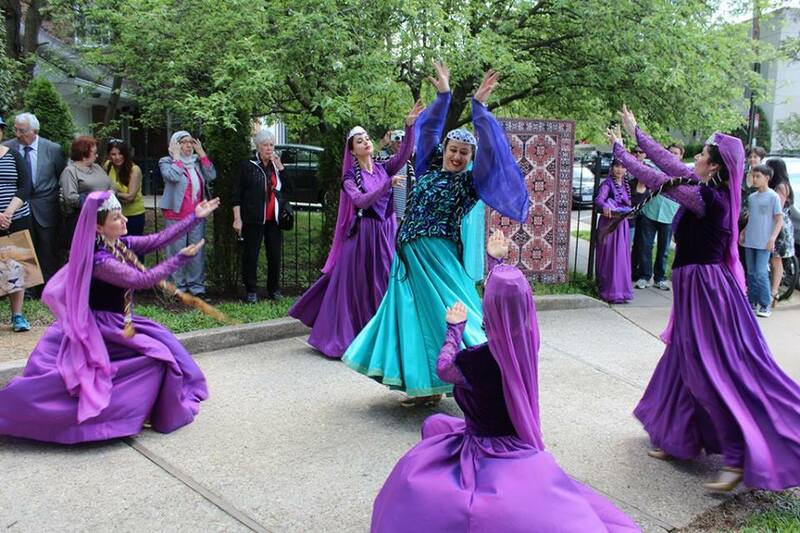 Although SRDC often performs at museums and universities, we love community events like festivals, weddings, and Nowruz celebrations. 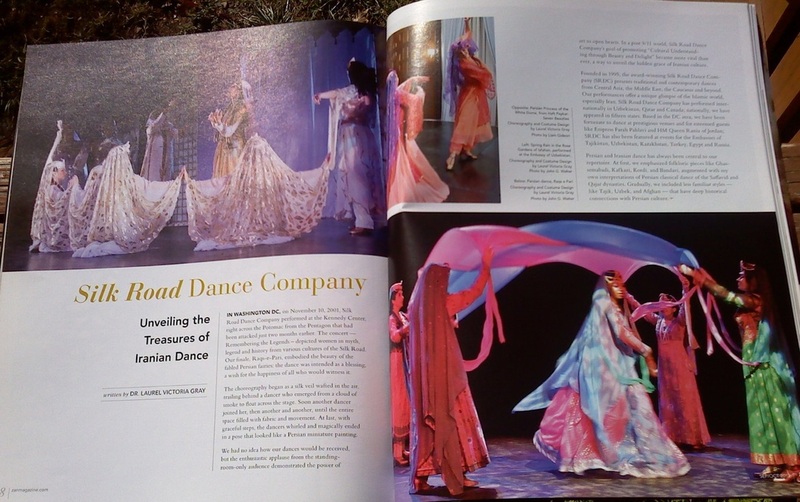 We were delighted when in 2011, the Nowruz Commission engaged Silk Road Dance Company to perform at the Library of Congress, at their annual gala. Dedicated to representing all the countries that recognize Nowruz, the Commission asked us to present dances from several of these nations -- Iran, Tajikistan, Azerbaijan, Iraq, Afghanistan, Kazakhstan and Georgia -- all in traditional costumes. 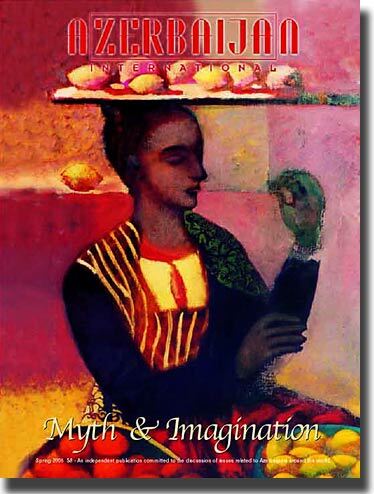 Another memorable highlight came at the invitation of the organizers of Toronto's 2011 Tirgan Festival -- the world's largest Iranian arts event. Attended by 120,000 visitors, Tirgan showcased the talents of over 150 artists from around the world who shared exemplary performances in Iranian music, dance, and theatre, as well as cinema and the visual arts. Astonished to be in the company of such distinguished artists, I was honored to be the first non-Iranian American to be presented with the Arash Award. Silk Road Dance Company's performances were enthusiastically received in Toronto and several audience members expressed surprise when they learned that many of our dancers were not Iranian. But this is the secret power of Iranian dance. Richly diverse, every region of Iran sparkles with a distinct style of music and movement. Whether it is the joyous abandon of Bandari, the elegant gace of Kafkazi, or the soulful ecstasy of Sufi ritual, there is a quality in these dances that appeals to our shared humanity. Persian dance is so beautiful, so deeply feminine, that it -- like Rumi's poetry -- speaks to the soul, regardless of nationality. And, of course, the costumes are breath-taking. Forever fashionable throughout the ages, Persian women excel at personal adornment, so their historical and regional costumes are a delight to recreate. We adapt our garments for the stage and for quick changes which allow us to present each dance in the appropriate costume. Although some of our costumes are authentic dresses from "over there," most of our garments are of my design. The Silkies often help construct the dresses or add decorative elements. In 2006, we won the Metro DC Dance Award for Excellence in Costume Design. Years ago a Persian friend graciously gave me a book about Empress Farah filled with colorful photographs of her visits to different regions of Iran. Those pictures inspired many of our designs. Participation in Silk Road Dance Company requires tremendous dedication from the dancers who, after auditioning, serve an apprenticeship period. Dancers keep up a demanding rehearsal schedule and participate in over 30 performances a year. Silkies also tackle a formidable repertoire of over 120 dances in a wide range of styles. Even though they have formal dance training, they must master new dance vocabularies and absorb the "Silk Road" style. Performances that look effortless result from countless hours of dedicated work. Some rare dances are part of the company's Legacy Repertoire, pieces now seldom performed in their country of origin. People's Artists of Uzbekistan Qizlarhon Dusmuhamedova and Qadir Muminov have passed on precious Central Asian dances to SRDC. Other collaborators include People's Artist of Azerbaijan, Yusif Gasimov; Turkic dance, Mujgan Ergil; and Iranian choreographer, Leili Tajadod. Silk Road Dance Company also presents imaginative concert works like Legends of the Silk Road and the Golden Road to Samarkand, drawn from the history and fables of ancient Eastern civilizations. Inspired by Nizami Ganjavi's 12th century epic poem, Haft Paykar: Seven Beauties stays true the original text, celebrating the wisdom of princesses from different regions who teach Bahram Gur the virtues of the ideal ruler. In the past, Persian dancers, musicians, and artists often depended on court patronage for survival. Today, we can thank our clients, since performance income helps cover our operating expenses. Happily, now that we are a tax exempt organization, we are beginning to get grants and donations so Silk Road Dance Company will continue to flourish and share the beauty of Iranian culture. Dear Friends, It has been a long time since I have last written in my blog. The reason was that we had many events and activities which kept me busy. One of such activities is celebration of Nowruz in Washington D.C. I congratulate everyone on this wonderful festival season, which in Kazakhstan lasts one month from March 22. At its core, the Nowruz festival (Kazakhs pronounce it “Nauriz”) celebrates the awakening of Nature, symbolizing the triumph of the Spring over the Winter. Nowruz is believed to represent the transformation of weather from cold Winter to lively and hopeful Spring. This change also corresponds to the Spring Equinox. The central theme of Nowruz is renewal and the birth of new life. Nowruz is widely celebrated in the countries of Central Asia, Afghanistan, Azerbaijan, Iran, Turkey and Turkic communities in Russia, Ukraine and other countries. Nowruz is a non-religious folk celebration. It is believed that it originated from ancient Mesopotamia. In Babylon the New Year was celebrated on the 21st day of the month of Nissanu (corresponding to March-April) with festivities held further 12 days, each commemorated with individual rites, amusements and performances. The present day name of Nowruz originates from the Persian. It is translated as “a new day”. In Kazakhstan, Nowruz is certain to have been celebrated in pre-Islamic times and later. During the Soviet period, it was declared ideologically inconsistent and was “hushed up”. It has a remarkable endurance and survival capacity through a long and dramatic history of Kazakhstan and was formally reinstated as a public holiday in Kazakhstan in 1988.
fellows. The “Aytis” (a contest of two or more improvising folk poet-musicians) is a joyful competition of wit and poetic skill. And of course there were many songs, dances and games. One of the bright traditions that we come across in Kazakh tradition is the “Nowruz bata” or Nowruz blessing. To receive a blessing on this day from aqsaqals (elderly) and aje (women of old age) is considered a big honour and sign of kindness. the best meat dishes qazy, qarta, shujiq (lamb and horse meat delicaces), etc. Nowruz is almost synonymous with renewal and joy, hence the tradition of cleaning one’s house on the eve of the holiday, returning all one’s debts, forgiving all offences and resentments and to make peace with all with whom you were at odds. Thus, it symbolizes unity and peace among peoples of various backgrounds. It is believed that Nowruz night brings luck and realisation of wishes. Therefore one has to greet it with clear soul and mind and to fill all the vessels at home with milk, grain or spring water so that prosperity never leaves one’s household. fertility to Mother land; cultivation, planting and other agricultural work are to be started. The first celebration of “New Day” took place in 2010 at the Library of Congress and was a great success. nature and the strengthening of friendships. ancient string bow instrument in the history of music. Its music is exotic, yet powerful. The celebration of Nowruz also continued on March 18, 2011, at the Embassy of Kazakhstan with the “Central Asian Music Festival” jointly organized with Asia Society. Welcoming the guests, Jack Garrity, Executive Director of the Asia Society of Washington, discussed the importance of knowing the Central Asian people through their culture. Ambassador Idrissov talked about the symbolism and meaning of the Nowruz festival for Kazakh nation. Hundreds of years ago, the Silk Road trade route transmitted both goods and culture from China to the Mediterranean. Now that we’re in the 21st century, the Silk Road Dance Festival hopes to revive the route’s tradition of cultural exchange. 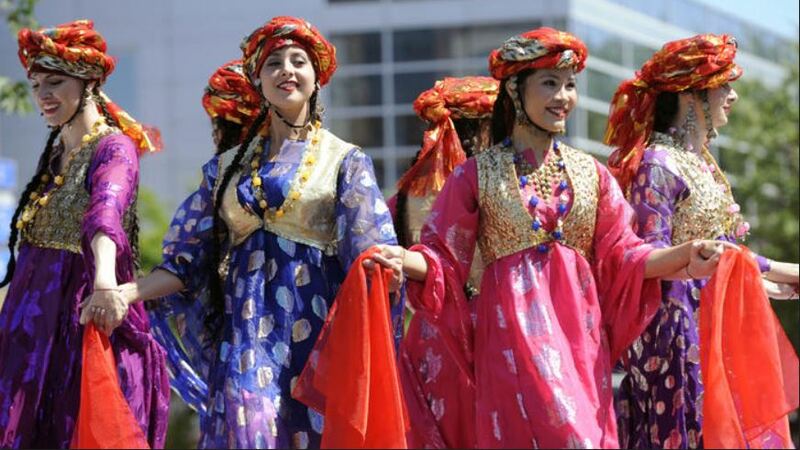 Drawing upon the history of the ancient Silk Road, the day-long festival, presented by the Asia Heritage Foundation, Uzbek Dance and Culture Society, and World Arts Focus, hopes to educate the metro area about the beauty of eastern dance and culture. Festival focuses on the rich diversity of dance found along the historic trade route that connected China with the Mediterranean. Lectures, workshops, and a concert featuring artists form India, Central Asia and China are hosted by Joe’s Movement Emporium in Mount Rainier, Maryland. traditional Iranian culture at this gala event help at the Mellon Auditorium on Washington, DC. 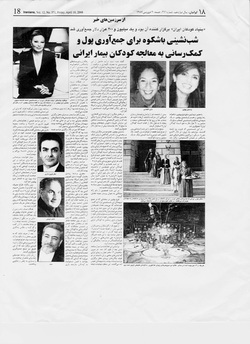 An article about the Bahar Ball appeared in a Persian language newspaper with the headline - "A magnificent soiree in order to raise funds and to send help to Iranian children in need of medical treatments." " Outside the building 12 young and beautiful Iranian girls in traditional outfits were standing at the two sides of the stairways that led to the entrance of the building where the ceremony was to took place and they were greeting the guests. This sight grabbed the attention of passers and DC tourists; and a lot of them were taking photos of this scene and were asking about the reason for this gathering." & Mystery." With the passion of an educator and avid storyteller, Gray, along with her 23-member troupe, proceeded to unfold the myths and history of the ancient world. The work is a "reconstruction of what they might have danced like," said Gray, who drew her ideas from ancient Egyptian art as well as current Middle Eastern dance styles. narratives, rich, exotic music and a dance troupe that was clearly having fun. Embassy of Uzbekistan - Washington, D.C.
Aslan Media reporter Sheridan Gunderson created this slide show of Silk Road Dance Company's performance at the Embassy of Uzbekistan, enhanced by images from the embassy's collection of Central Asian folk art. Artful Afternoon brought India to Greenbelt on Sunday, Aug. 7. This month’s theme was "Hooray for Bollywood," featuring a host of activities for all ages that took Greenbelters for a ride through Indian culture. Copyright 2002 News World Communications, Inc.
Long ago and far away, the women along the Silk Road, from China to the Mediterranean, created colorful, evocative dance forms. Thanks to an inspired troupe in Washington, D.C., we can experience them today. They dance in sumptuous costumes and fantastic headdresses to the effervescent sounds of bells, cymbals, and drums. Some wear the mysterious burka, with tiny eye slits that leave everything to the imagination.\ These are the talented and culturally astute dancers of the Silk Road Dance Company, who proudly embody the resilient and colorful dance heritage of Central Asia and the Middle East. This unique, all-female company was founded in Washington, D.C., by Laurel Victoria Gray, a dancer, choreographer, instructor, scholar, and dance ethnologist. "A dance ethnologist attempts to understand dance in a cultural context, examining its social significance for a particular part of the world," she explains. Her field of study--with its possibilities for presenting rare forms of dance--is a vast one. The ancient Silk Road, a network of caravan routes connecting the Mediterranean world with China, ran through Central Asia, the Caucasus mountains, the Levant, and North Africa. It was most active as an East-West linkup from the second century BC to the sixteenth century. "On it," says Gray, "they traded silk, gems, and slaves. The slaves were Persian, African, Chinese--anyone could be made a slave. The men would be killed off and the women and children taken into slavery" by a conquering army. Perhaps, she speculates, that is why these ancient women's dances have so endured. In cultures in which women were so inexorably fixed in a subservient role, dance may have been the main, and often the only, medium in which they could express themselves. A vast array of cultures were linked by the ancient trade routes. "People along the Silk Road were not exclusively Muslim," notes Gray. "There were also Christians, Buddhists, Jews, Hindus, and shamanists." These religious traditions, and the cultures that rose around them, greatly affected the dances from these regions. This fun-filled day will feature special performances by ​Silk Road Dance Company, which has delighted audiences around the country with traditional and fusion dances from the Middle East and Central Asia. 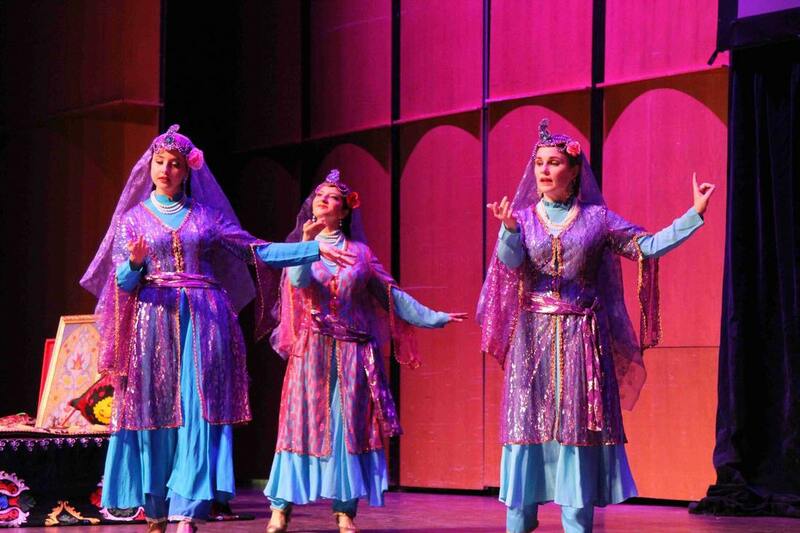 Performing Uzbek, Afghani, Tadjik, Azerbaijani, Kurdish, Persian, and Egyptian dance techniques rarely seen in the United States, Silk Road Dance Company offers a unique glimpse of the life, culture, and art of little known regions. ​Nizami is celebrated as a national poet throughout Azerbaijan as well as in Iransince the poem was written in Persian, the court language of the day.